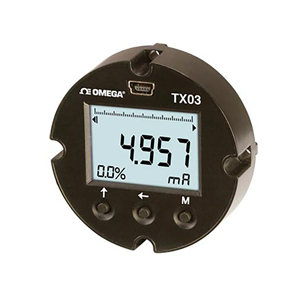 The TX03 2-wire loop powered display is fit for all of pressure, differential pressure, flow, PH, temperature, acceleration and more. The LCD backlight display can be visible in dark environments. LCD schedule shows the value measured in real time, and it will flash to alarm. The three button feature allows the user to program the zero, span, unit, decimal digits, damping and alarm point. Instead of the potentiometer, no additional power supply is required. Note: Comes complete with a operator’s manual.